By tendency, people are bound to the natural cycle of ups and downs. Neither bodily pleasures nor spiritual pursuits result in True Freedom from this constant phasing. One path merely accentuates the descending (or bodily) experiences and the other, the ascending (or subtle) experiences. 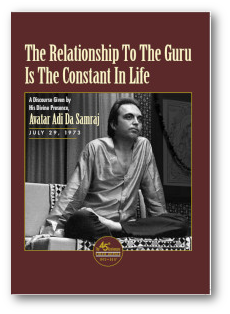 In this Discourse, Avatar Adi Da reveals with absolute clarity how the relationship with the Guru (or Satsang) gives freedom from this trap—because the Guru is the Manifestation of the Condition that is Prior to this mechanical cycling, not part of it. Watching this DVD will transport viewers to a special moment in Adidam history. 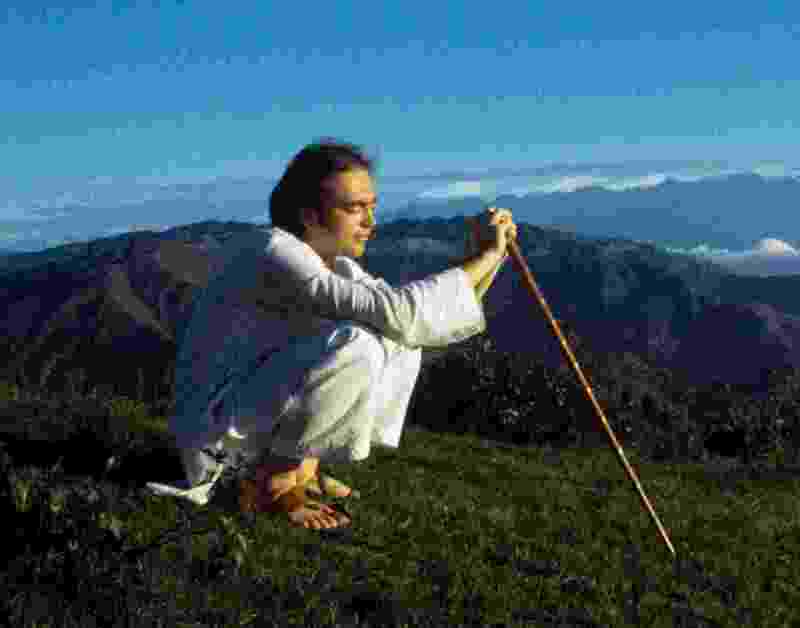 July 29, 1973, was the day Avatar Adi Da left Los Angeles for a Yajna (sacred journey) through India and Nepal. He returned as “Bubba Free John”, His first spontaneously revealed Teaching-Name. Thus, this was the last Discourse He gave as “Franklin Jones” (Avatar Adi Da’s birth name). Neither one of these movements, descending or ascending, is the path of Truth. Neither one—absolutely neither one. People do not hear Me say that somehow—they think I still mean that this ascending process is the Truth. It is absolutely not the Truth. It is no more the Truth than this descending one. Both terminate in an exclusive condition that is not stable and that always produces its opposite. . . . Both continually return to the opposite. Both are always returned to the cycle without “knowledge”, because they have only attached themselves to a quality. The Spiritual individual seems justified because the qualities he is attached to are moral enough, they are always turning him out of bodily concerns. They seem to be righteous enough because it is moving toward something very subtle, prior to existence, and all that. It seems like he is very God-centered. That is why the Guru Appears—to Communicate the “radical” Truth, the “radical” Nature of Truth, to show that this is not the path. This upward tendency is not the path any more than the descending tendency is the path. The Very Truth That Always Already Is the Case, the Condition That Always Already Is the Case, Is the Truth. That is the Gospel, the Teaching of the Guru. Note: This video is comprised of archival footage with significant quality variations.